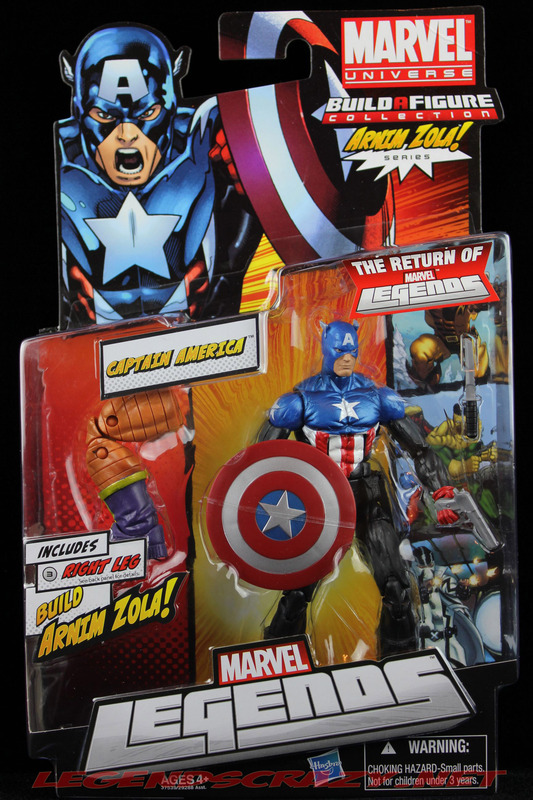 I honestly feel like I am the last person on this earth to receive my set of The Return of Marvel Legends Wave Two Arnim Zola Series figures, but they are finally in my possession and I’m once again doing my own little version of the “happy dance” because I get to add more new Marvel Legends to my collection. 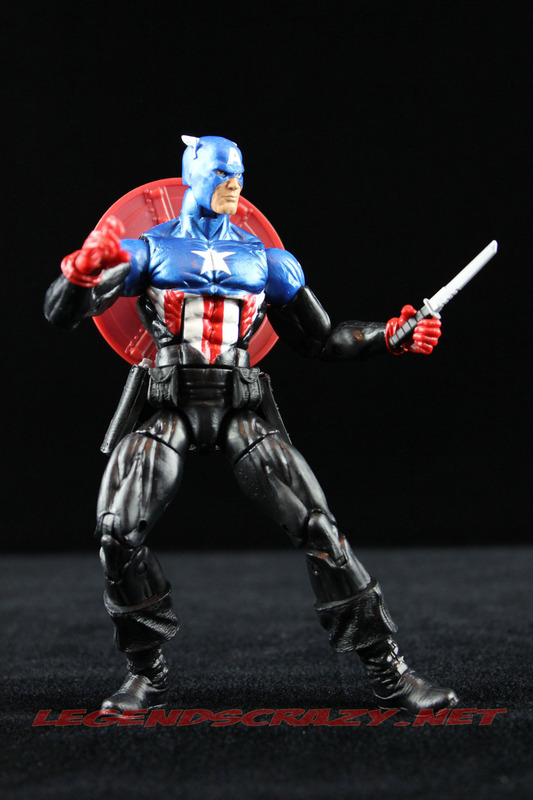 I’m still missing the masked version of Dark Wolverine (Daken) and the “Big Time” version of Spider-Man. I was lucky enough to find a Thunderball and Madame Masque at retail and the case I received was the Piledriver, Madame Hydra, Maskless Daken, and Future Foundation Spider-Man pack-out. I could actually live without a masked Daken, even though it hurts a completest like myself, but I do really hope to find a Big Time Spider-Man somewhere eventually. 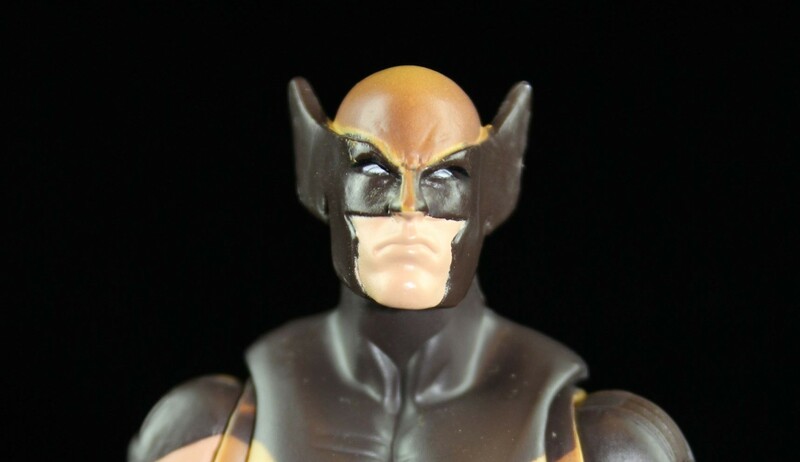 I will buy a masked Dark Wolverine if I ever come across one though. Let’s start with The Heroic Age Captain America. 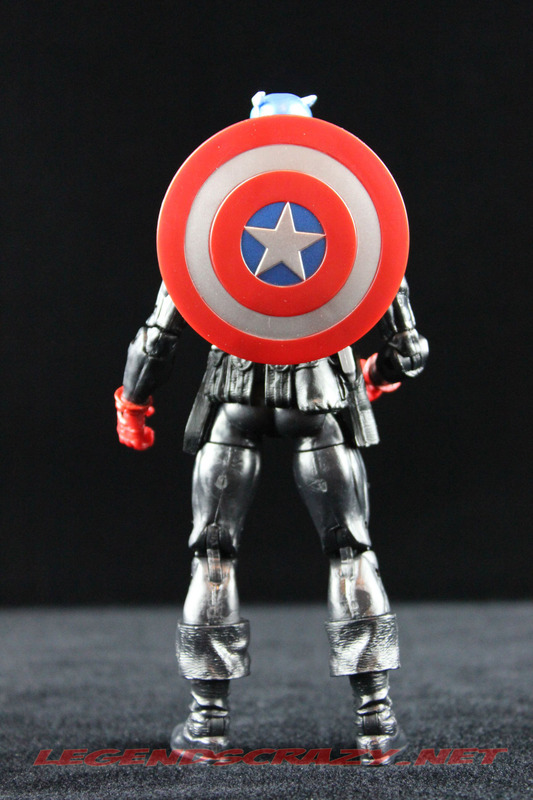 Most people will likely call this version of Captain America “Bucky Cap”. 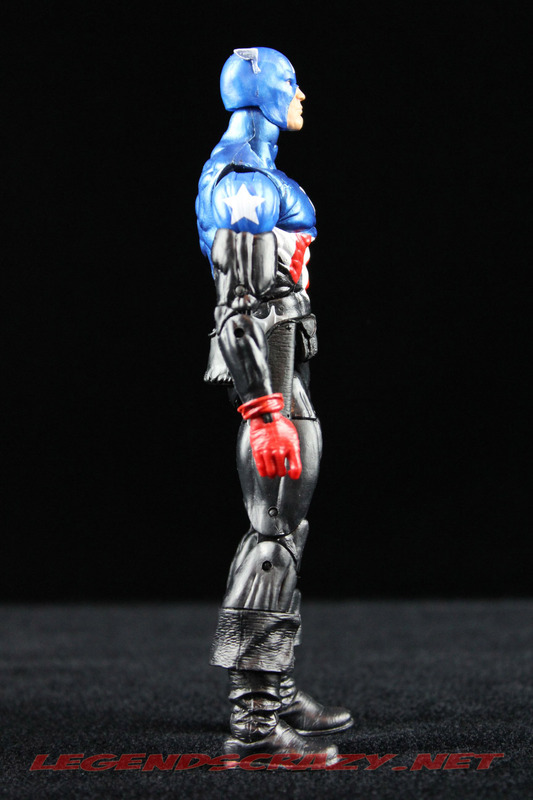 That’s because this version is meant to represent Bucky Barnes, a.k.a. The Winter Soldier, who took up the mantle of Captain America after the death of Steve Rogers in the epilogue of the Marvel Comics “Civil War” storyline and in the “Heroic Age” which followed that. In most of the retail stores where I hunt for my figures this one seems to be warming the pegs. In the case of figures that I received this was the figure that was double-packed, so I suppose that’s the reason I’m seeing so many of these out in the wild. I think it might have been smarter for Hasbro to have made the two Spider-Man variants the double-packed figure, and one of each would have been nice, but what do I know? I am just a consumer/collector. I honestly like this figure. 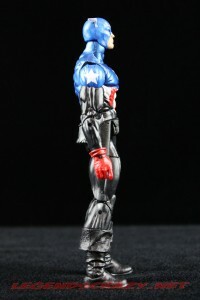 I think it has a fantastically detailed sculpt and great articulation. 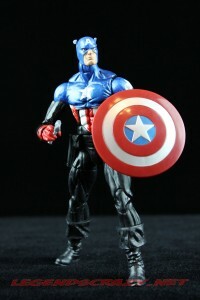 This wave does suffer from the use of a different type of softer plastic on several of the figures and this version of Cap is one of them. 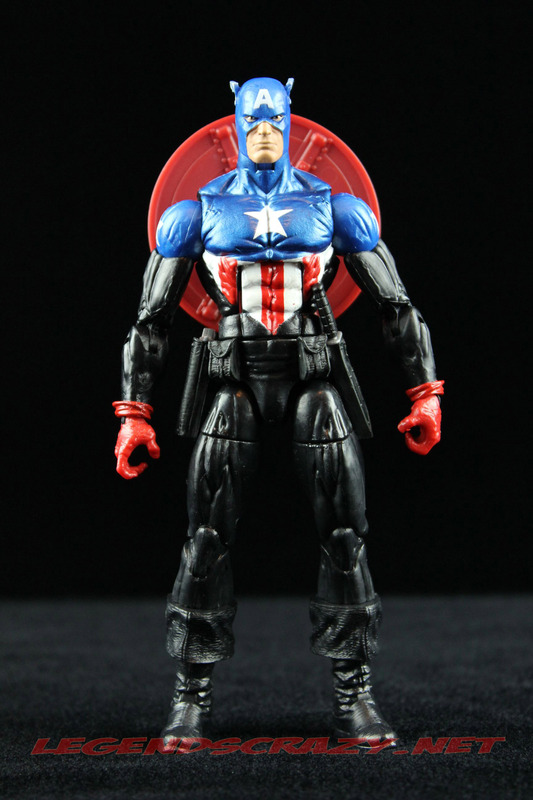 The head sculpt is all new and the proportions are accurate to the body size, unlike Steve Rogers from the previous wave, who suffered from a slightly over-sized head. They have reused the upper body from the Two-Pack Nick Fury and SHIELD Agents so, “Bucky Cap” has a slimmer build than Wave One Steve Rogers. 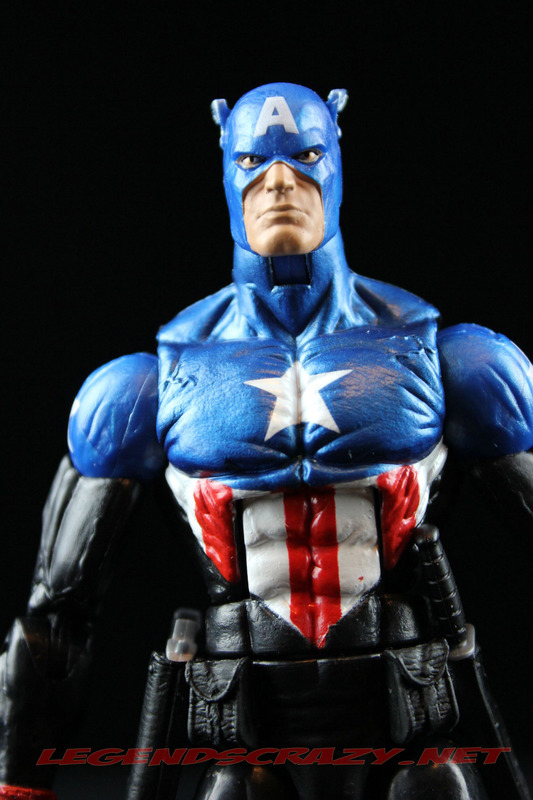 Hasbro used metallic red, white and blue paints on the torso and it contrasts very well with the black on the rest of the costume. 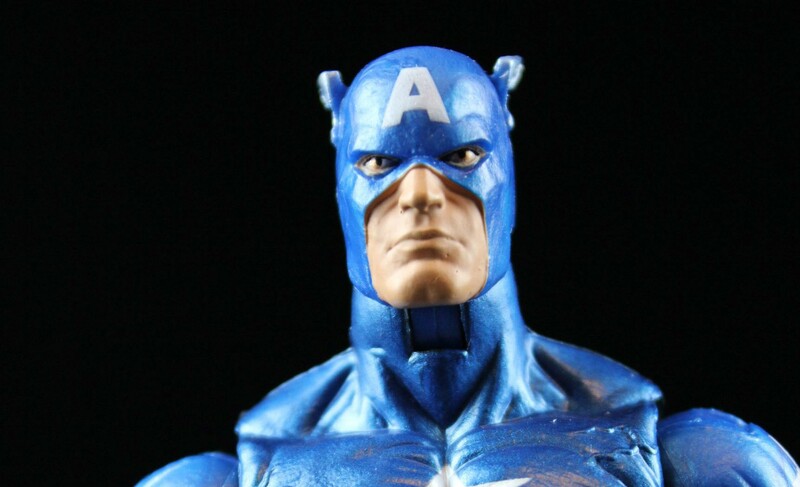 This is one of those instances where Hasbro’s notorious lack of paint apps actually works well. You can see in my pictures that the bottom tip of the V in the red and white striped area could have been straighter in the application and there are also some nicks in the lines, almost like they taped it off to paint it and touched it with the tape while pulling it off. That seems to be the area where you’ll see the most errors on the paint apps in the figures I have seen. 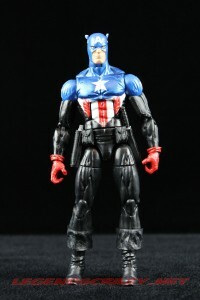 The arms look most similar to the Giant Man Series Ant-Man’s to me, with the exception of the glove cuff and the hands. 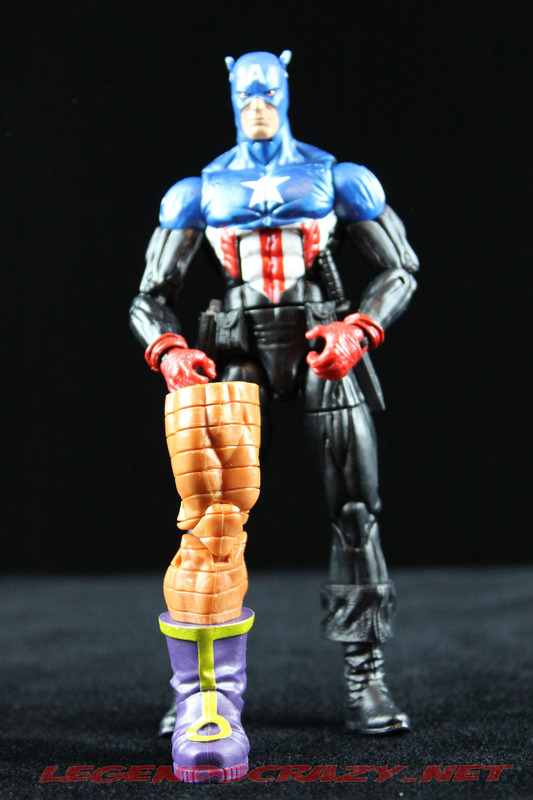 I can’t seem to match up the lower body with any previous Marvel Legends though. If anyone knows if this is also a reuse, let me know in the comments. The shield is also reused from the Wave One steve Rogers, which is fine because it’s a cool shield. 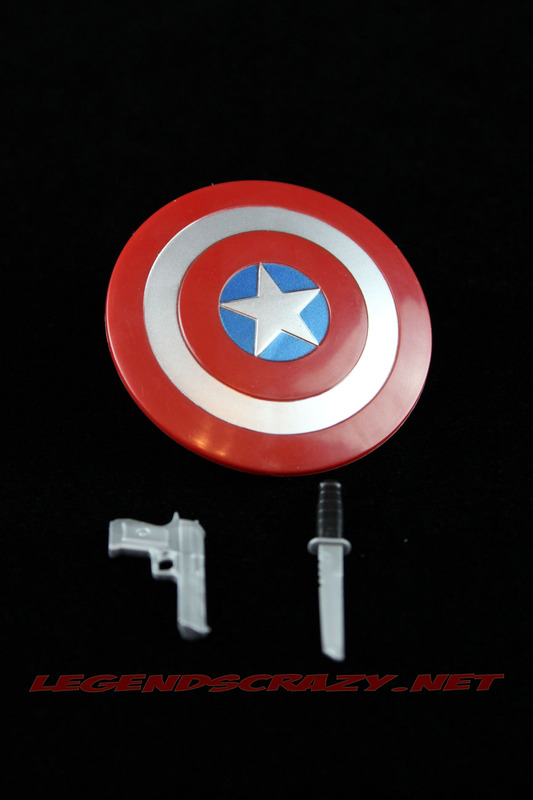 You once again get the hook/clasp for him to use it on his arm and the peg for it to attach to the hole in his back. 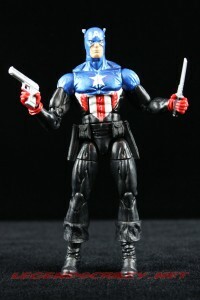 He also comes with a new hand gun and a long Bowie-type knife. There is excellent detailing in the belt and he can actually reach both the gun and the knife, so you can pose him like he is drawing them out of their holsters. 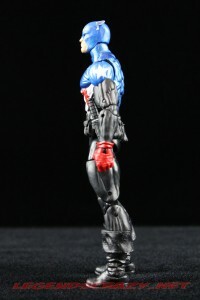 Here is the break down on the articulation: Ball-joint head with a hinged neck which offers a great deal of movement, ball-joint shoulders, double-pegged elbows and swivel-hinged wrists which are great for weapons posing. He also has an ab-crunch and torso swivel. The hips have a swivel-ball hinge and a cut in the upper thigh, double hinged knees, a mid-calf cut and hinged rocker ankles. That is a lot of articulation and it all works aesthetically with the sculpt. 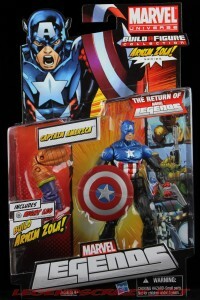 Thank you Hasbro! 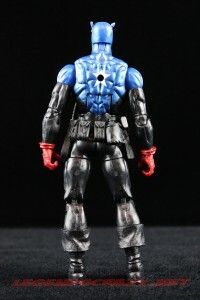 Now, just keep this up and don’t cheap out on the plastic in the next wave. The hinges used for the elbows and knees are made of a softer plastic and you will get some wobble when you pose him. I would’ve ranked this figure a 9.5 if it were not for that. 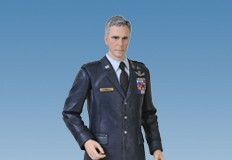 The softer plastic brings him down to about an eight in my opinion though. He stills ranks as one of the better figures from this wave for me. There are some that have really hit the ball out of the park in this wave and a couple that have really dropped the ball for me. 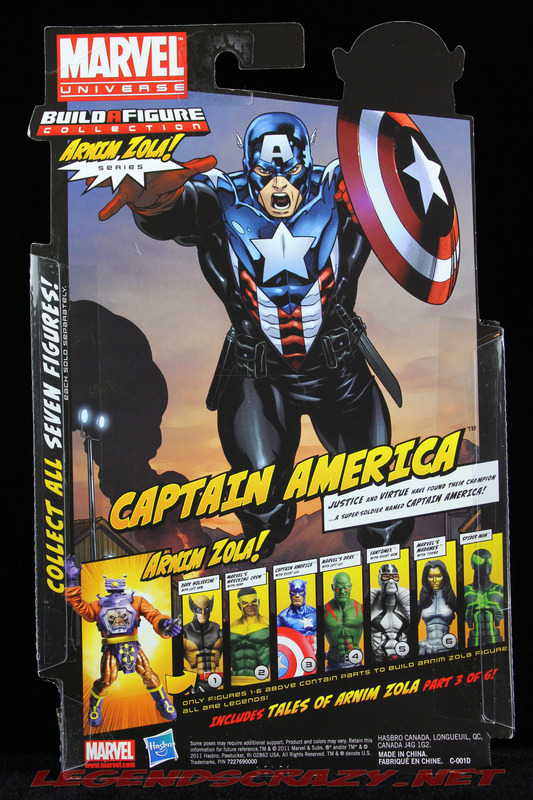 Heroic Age Captain America comes with the right leg to build your Arnim Zola Build-a-Figure. You might have noticed that the background in my pictures look a little deeper shade of black this time. I went out and bought myself a large piece of high quality black velvet to use as a backdrop. I think that the pictures look better with this darker background, but the lint/dust attraction factor of is very aggravating. I just can’t keep it clean enough to satisfy my OCD, so I’m going to have to come up with a solution for the shedding. I also need to find someway to prop the accessories up next time around, because I still wasn’t happy with the way those shots came out either. 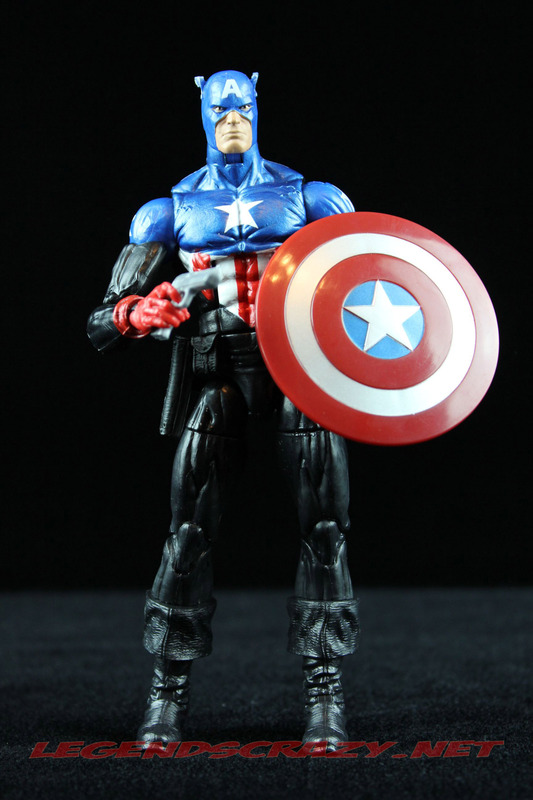 Let me know how you feel about this version of Captain America in the comments below and we can talk about the rest of this wave as this week continues, I’ll try to do a review a day. A huge thank you goes out to Enchanted Toy Chest for supplying this figure for me to review for you. Great review. I just got this figure myself. 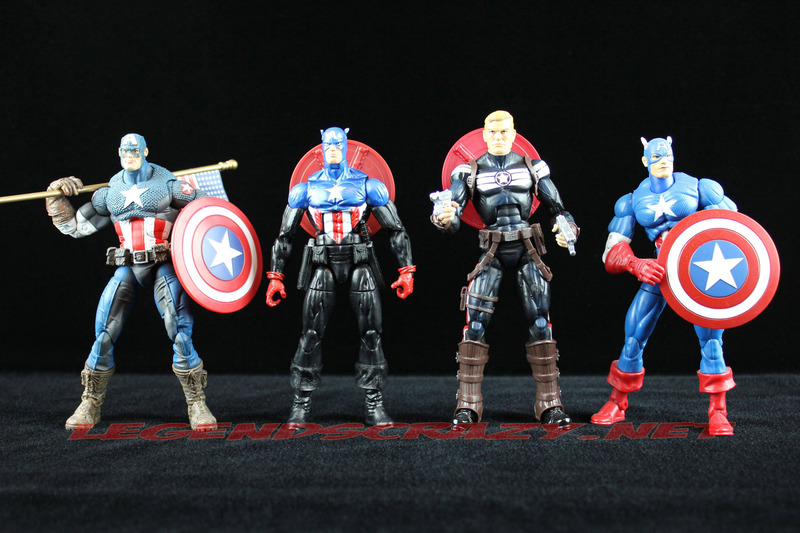 Yea i know….probably about a year late but I’ve only recently had a change of heart about the figures in Wave 2….to which I have none. I’m still waiting for Wave 4 to pop out anytime soon in my neck of the woods here in Malaysia.